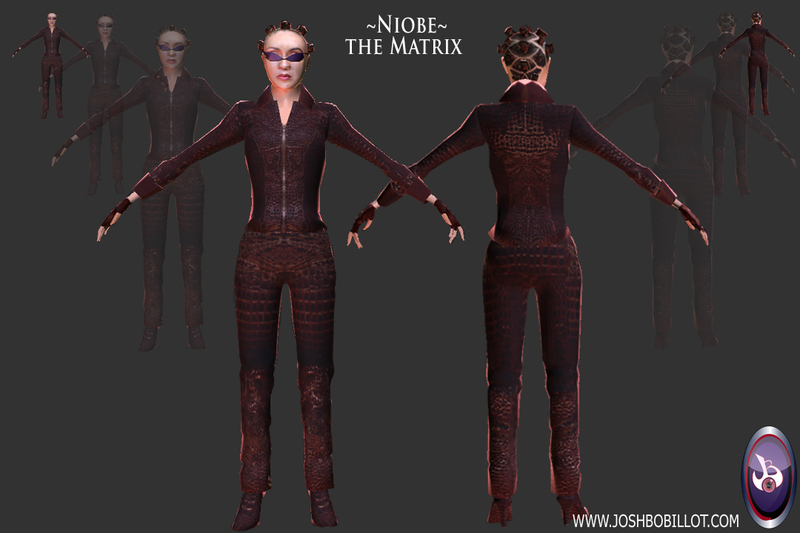 3D Characters - Niobe: Click the thumbnails to see larger images. 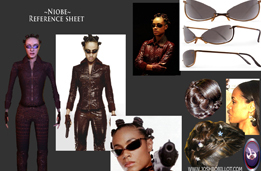 This is Niobe from the Matrix movies. 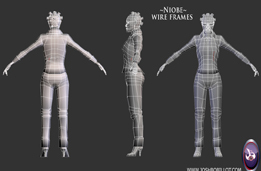 I gathered Reference images and started on the 3D. 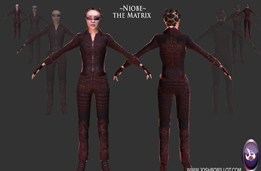 She was modeled in 3dsmax and textured in photoshop. 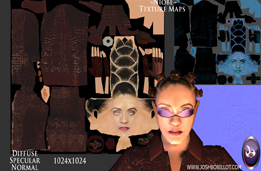 The texture map is a combination of photo manipulation and digital painting. Then I used a real-time direct X shader and setup lighting for the final model in 3ds Max.